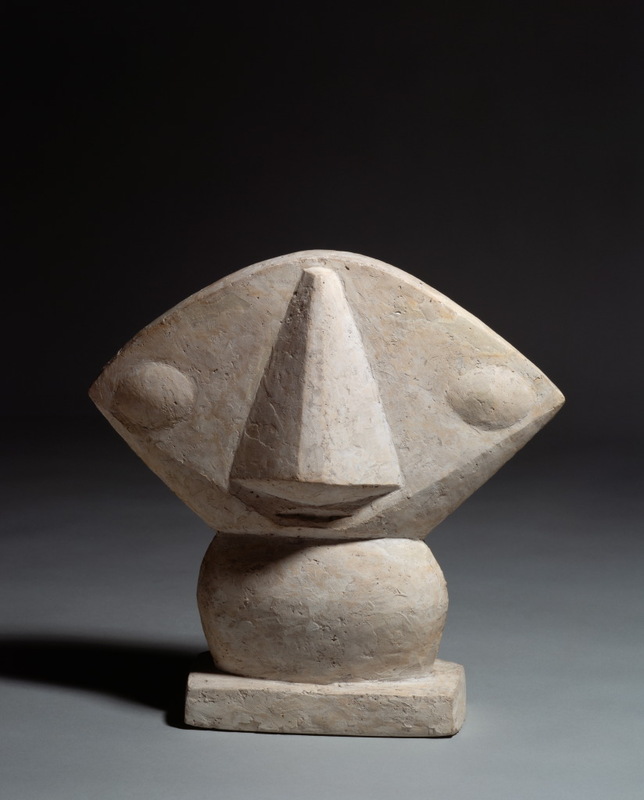 After the first major collaboration in the “Modigliani et ses amis” exhibition which in 2015 has met a great critical success and has brought over 110,000 visitors to Palazzo BLU, Palazzo BLU Foundation, Centre Georges Pompidou in Paris and MondoMostre are back together to propose a new major exhibition event to the Italian public, on the occasion of the 10th anniversary of Palazzo BLU Foundation. 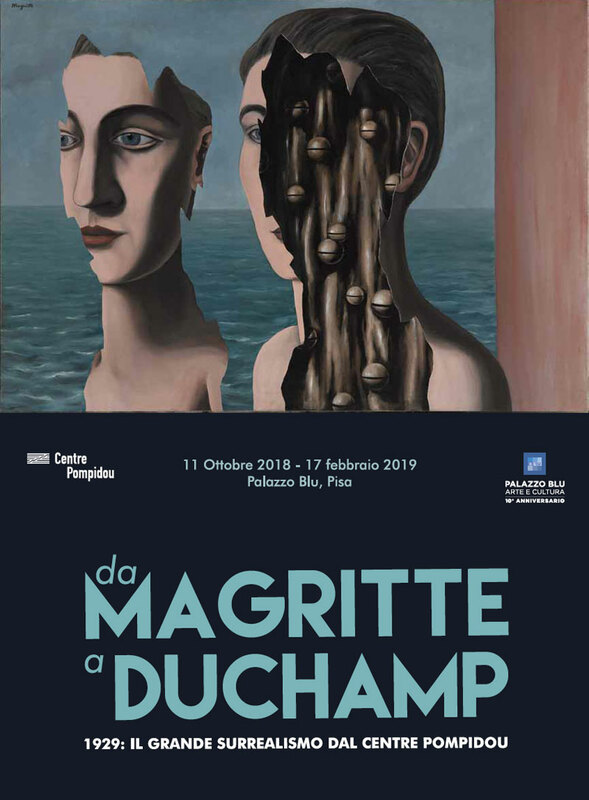 On 11th of October, 2018 the exhibition “from MAGRITTE to DUCHAMP will open to the public. 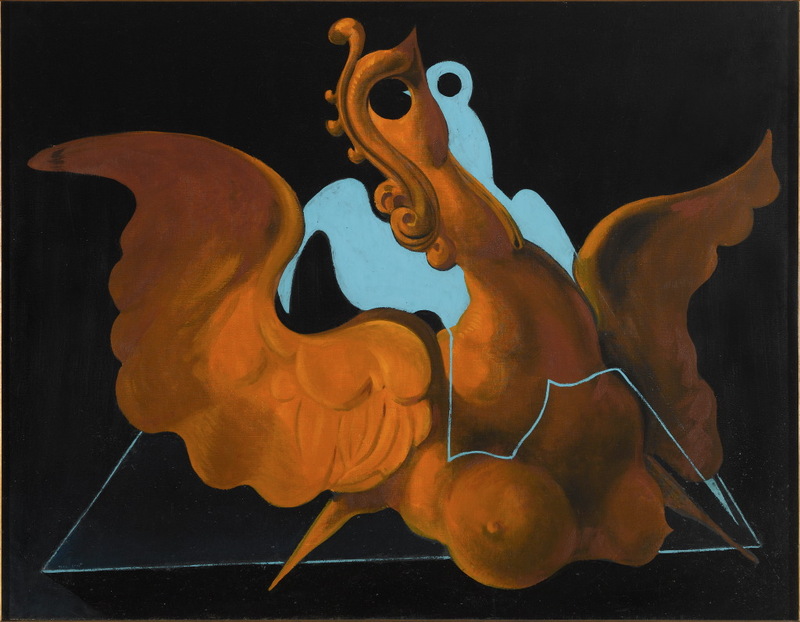 1929: the Great Surrealism from Centre Pompidou”. 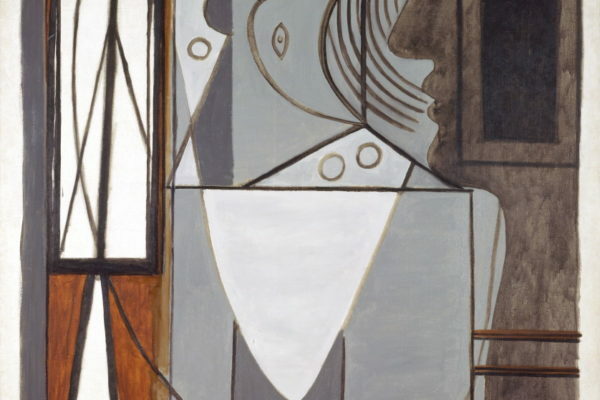 For the first time in Italy, the French institution will lend a series of masterpieces hard to be apart of, being displayed in the permanent collection of what is the most important European institution dedicated to 20th century art. 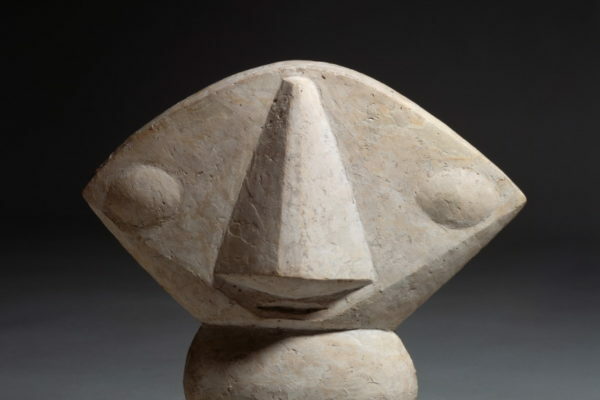 The exhibition has the patronage of the Ministry of Cultural Heritage and Activities, of the Tuscany Region and of the Municipality of Pisa. 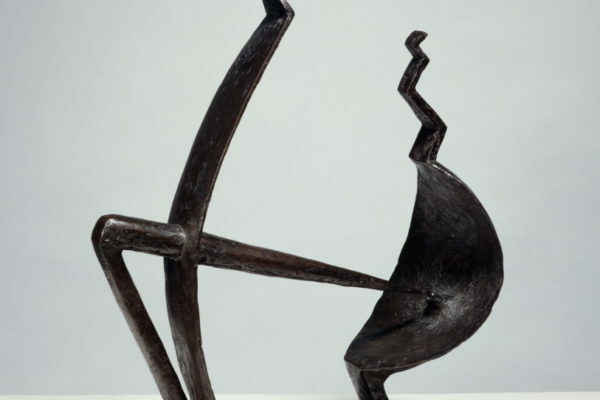 The exhibition and selection of works is the result of the curatorship of Didier Ottinger, Deputy director of the National Center of Art and Culture Georges-Pompidou, National Museum of Modern Art in Paris. 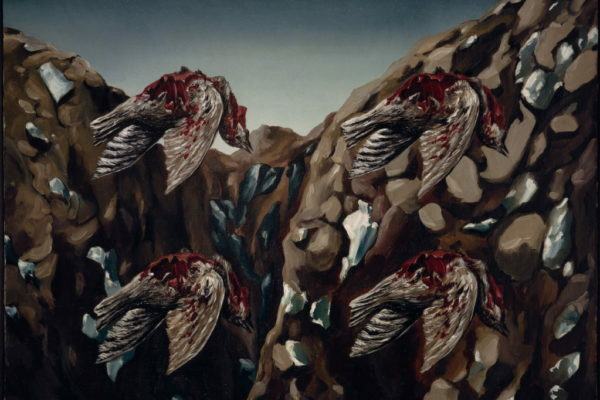 Ottinger one of the experts of the French museum institution, curator of international renown, one of the leading specialists in the world of Magritte, Picasso and Surrealism as a movement, has brought together for this occasion an impeccable series of masterpieces that will accompany the visitors of Palazzo BLU to discover the wonders of the Surrealism that has deeply changed the art of the 20th century. 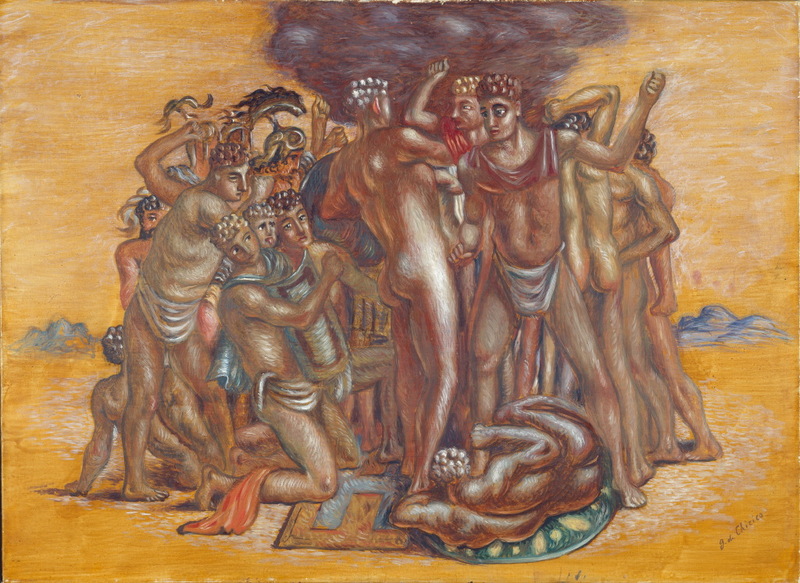 There are about 150 works, including pictorial masterpieces, sculptures, surrealist objects, drawings, collages, installations and photographs of the author have arrived in Pisa to show the extraordinary adventure of the surrealist avant-garde, through the chef-d’oeuvres produced at its apogee and therefore around 1929, as we shall see, a crucial year for the group of artists who worked in that Parisian forge of the Avantgardes and capital of world artistic development. 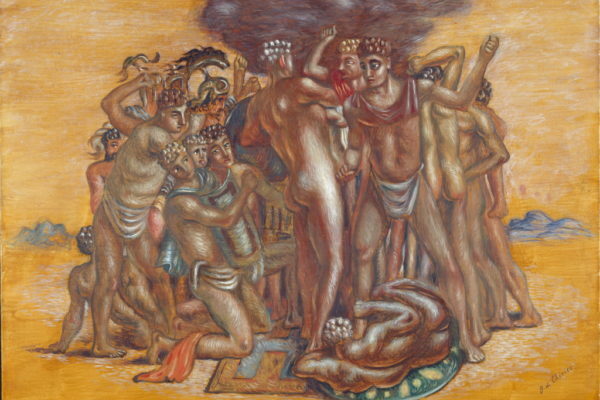 Catastrophic year for the collective memory (collapse of the economy, Communist International crisis etc. 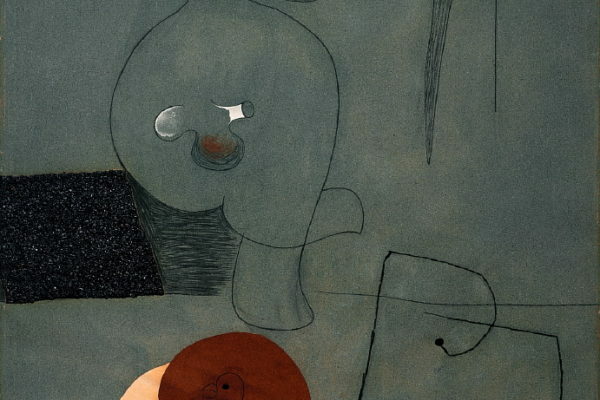 ), the year 1929 also marks a decisive turning point in the history of Surrealism. 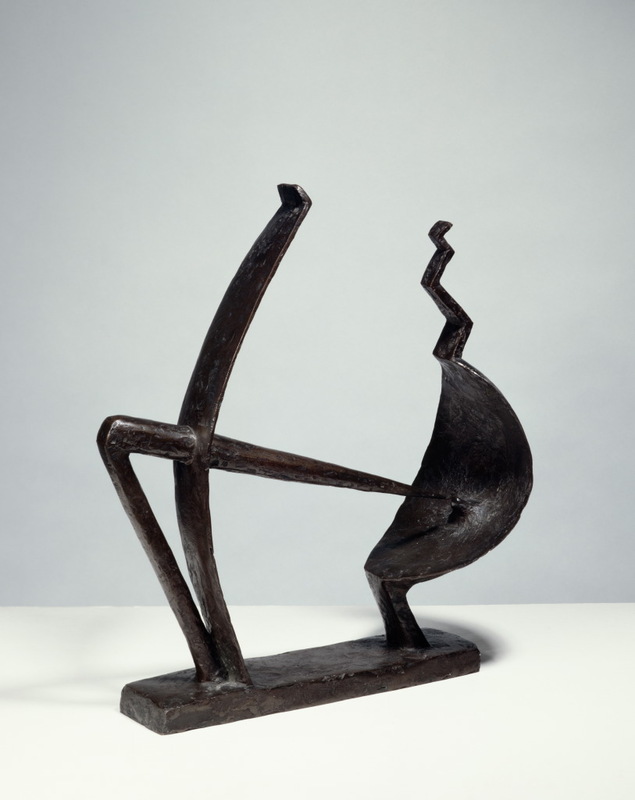 In that year the movement theorist André Breton and poet Louis Aragon try to change the movement from its theoretical foundations. This new approach does not meet all members believes and seems to create an incurable fracture within the group. Despite this internal knife to the heart, the vitality of the movement remains intact. 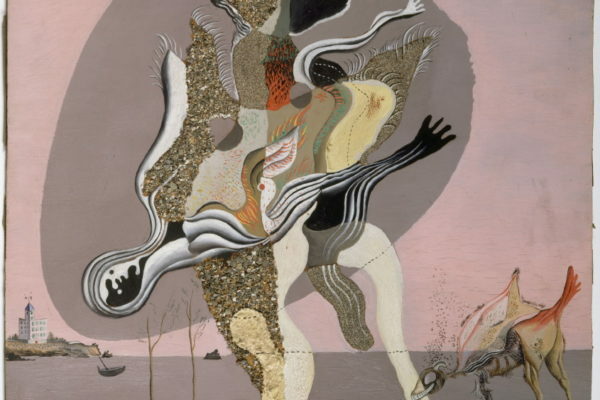 Surrealist art seems more than ever to assert itself. 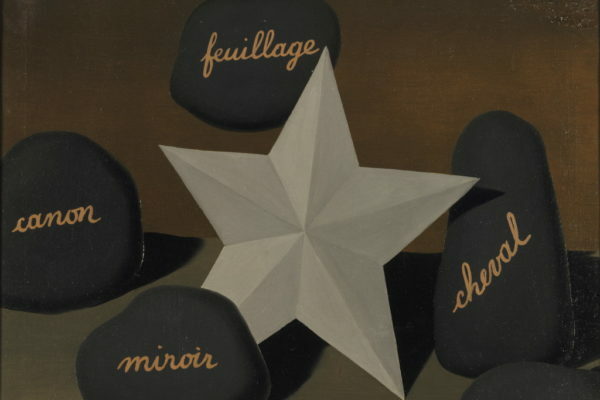 In December, in the “Révolution Surréaliste” magazine, André Breton published the Second Surrealist manifesto which ratified the alignment with the French Communist Party and gave the movement the new “reasoning” turn. 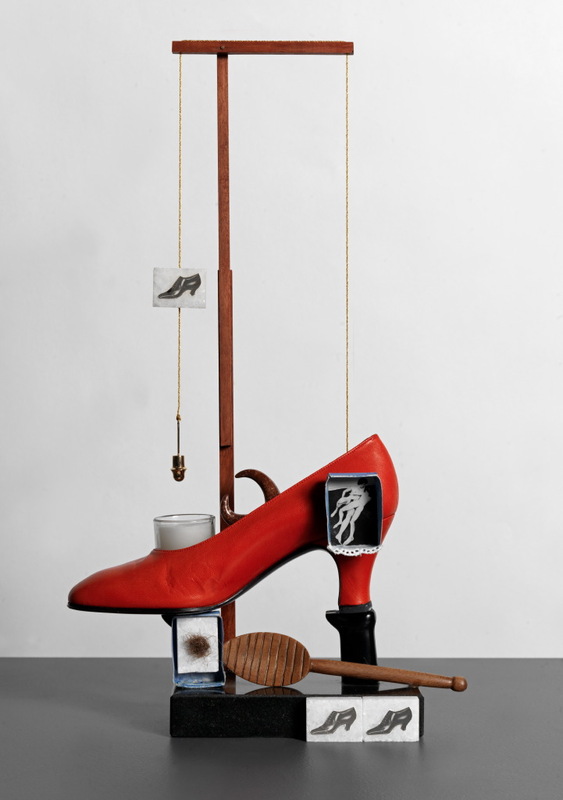 Through almost all the Surrealist masterpieces preserved by the French institution belonging to René Magritte, Salvador Dalí, Marcel Duchamp, Max Ernst, Giorgio De Chirico, Alberto Giacometti, Man Ray, Joan Miró, Yves Tanguy, Pablo Picasso and many others, this ambitious scientific project aims to present the works, the interactions, and the aesthetic visions of the main surrealist artists considered to be among the greatest Masters of the 20th century. 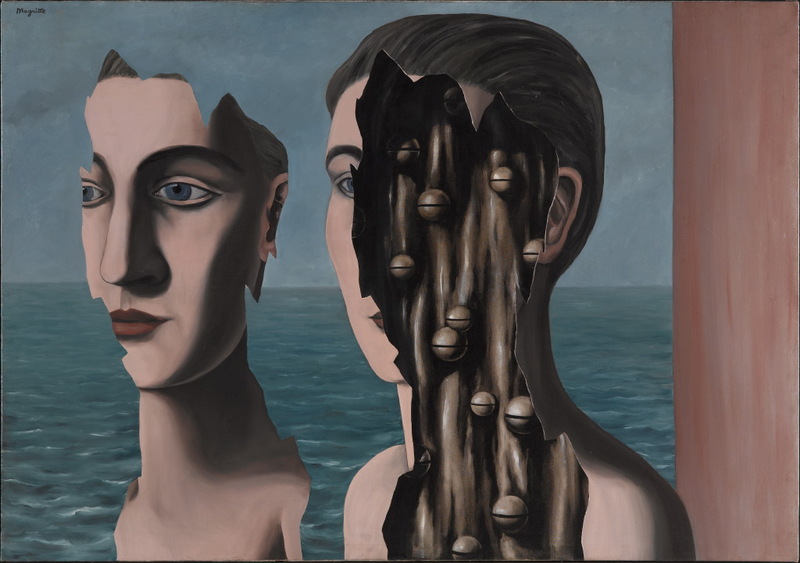 Magritte, Dalí but also Duchamp and Picasso appear as the undisputed protagonists of the Pisan exhibition, which features added several other famous surrealists for an exhaustive presentation of this rich creative season. 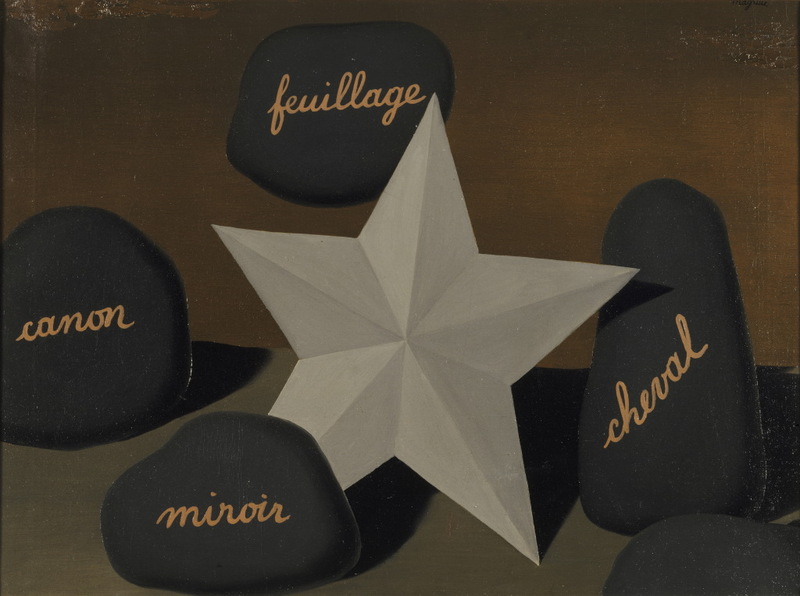 Eager to approach the Parisian surrealists, Magritte had moved with his wife Georgette to Perreux-sur-Marne in 1927. 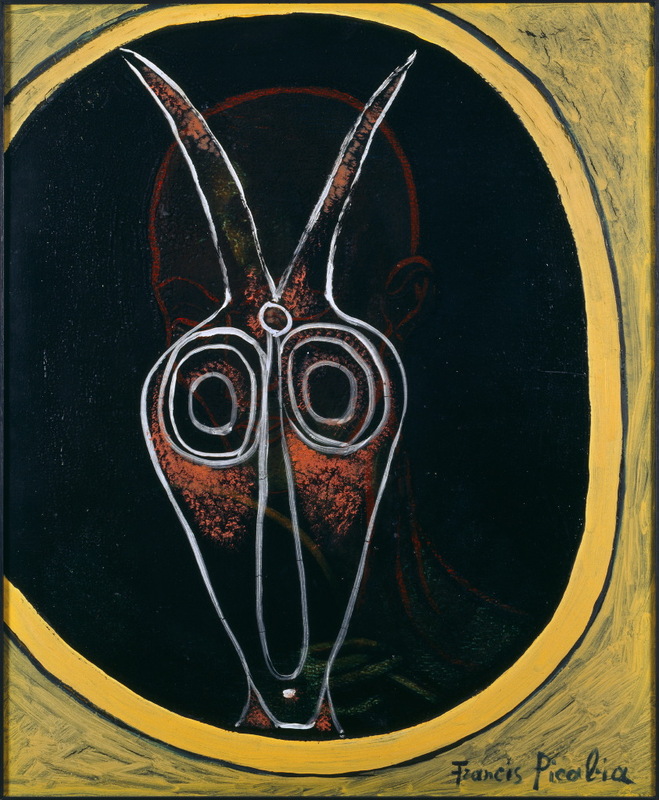 This sui generis “surrealist” also called “the quiet saboteur”, for his ability to insinuate doubts on reality through the representation of reality itself, who deliberately avoids the world of the unconscious and subtracts himself with all means of automatism, does not believe neither in dreams nor in psychoanalysis, denigrates the case and puts logic and intelligence high above the imagination, in fact participates in the “reasoning” turn that André Breton wishes to imprint on the “second” Surrealism. 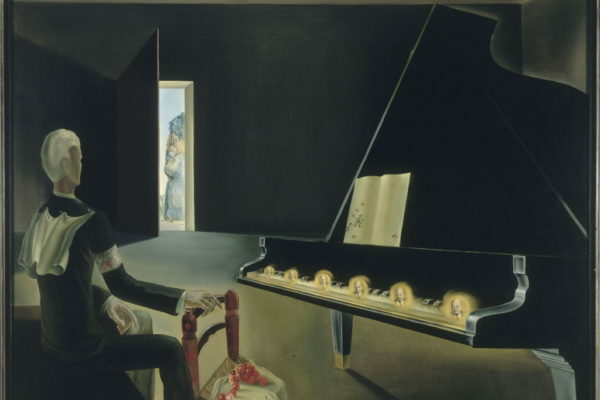 Also in that fateful 1929 Salvador Dalí breaks into the Parisian scene. 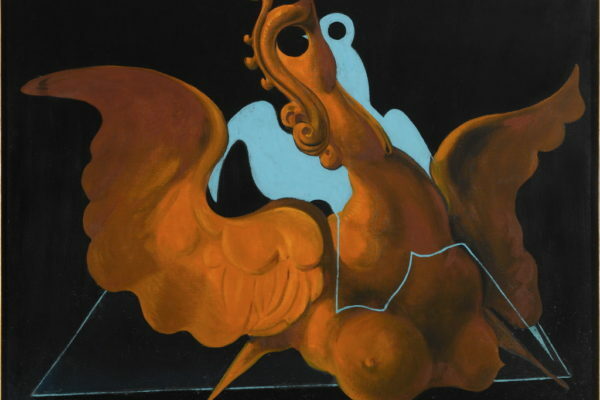 Thanks to his famous method called “critical paranoia” he creates the masterpieces present in the exhibition and for several years the artist will embody the “spirit of Surrealism” in Breton’s eyes. 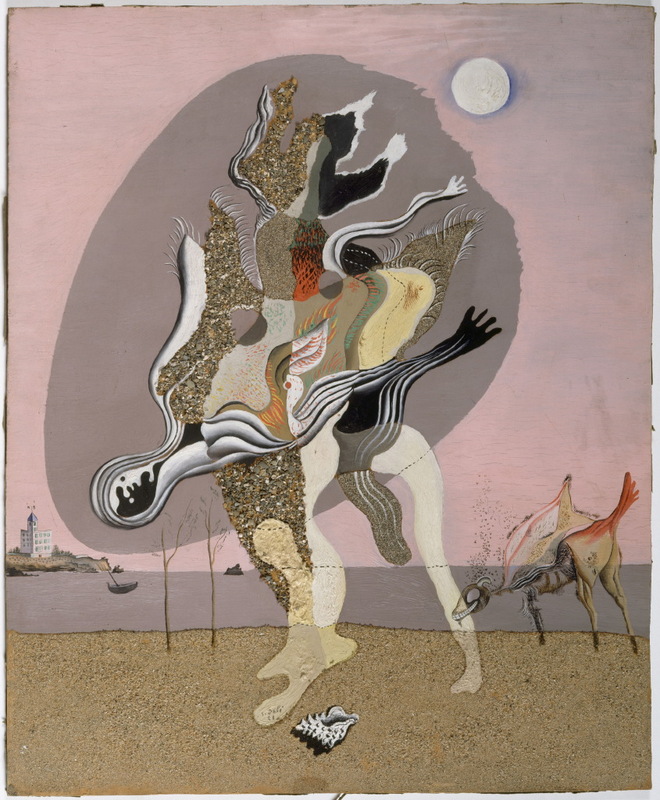 Dalí does not appear alone, the turmoil of the movement is witnessed in that year thanks to the release of the first surrealist film, “An Andalusian Dog”, created by the painter with his compatriot Luis Buñuel. 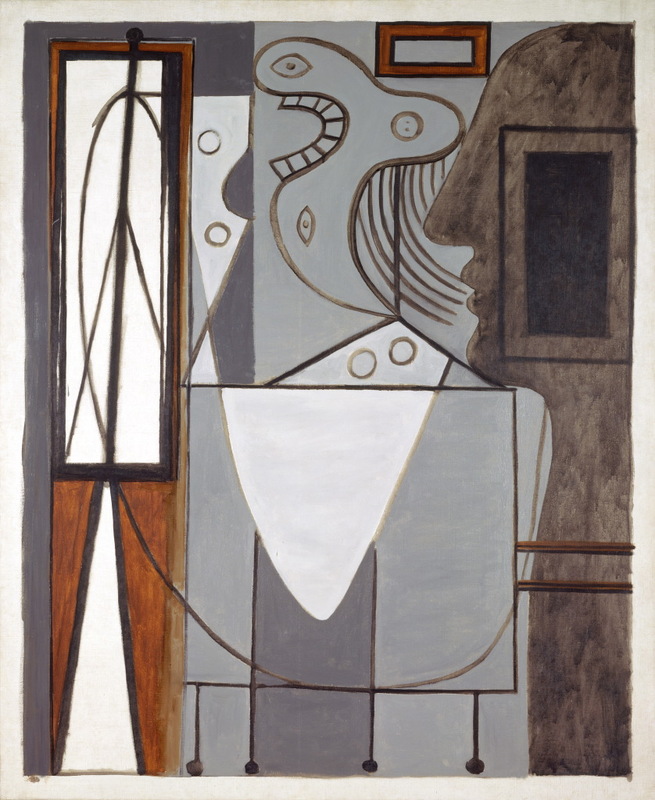 The visitor is welcomed by a great variety of works of primary importance, mostly created between 1927 and 1935. Among them the image of the exhibition itself is Magritte’s masterpiece entitled Le double secret. 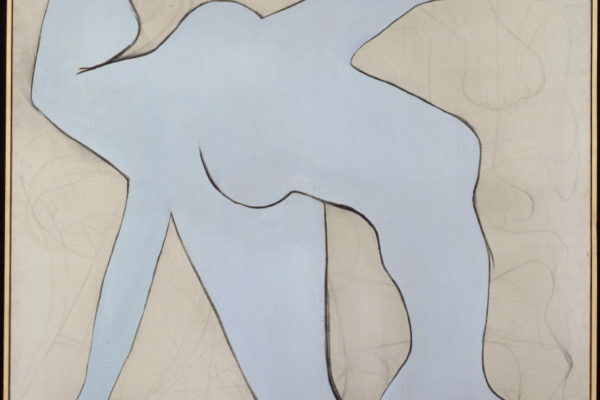 A large work (114 x 162cm) and among the most iconic piece of the Master. 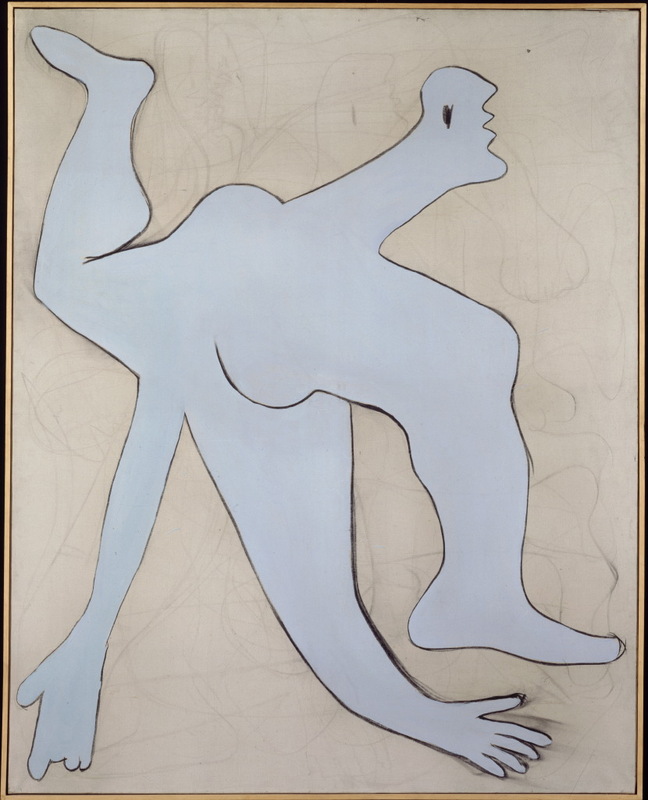 The creation of this painting made the Belgian artist aware of the filmic nature of images and their infinite possibility of distribution. 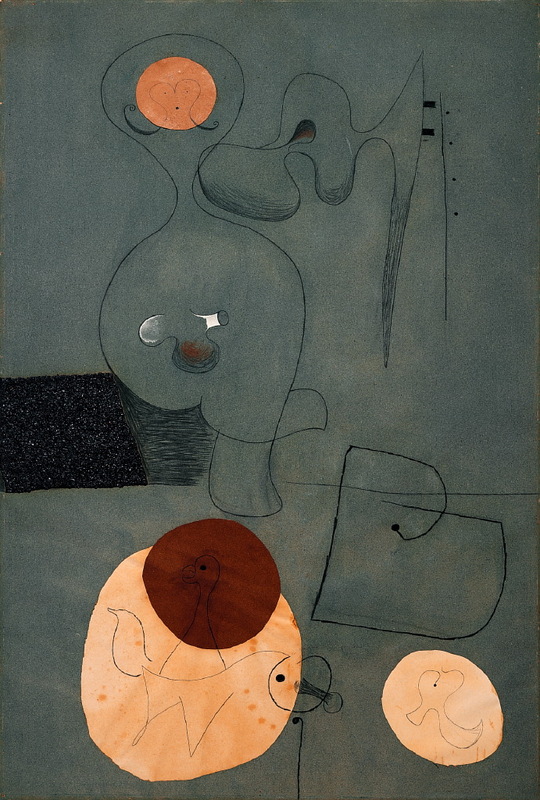 From a background split between sky and sea, two large divided faces emerge imposingly, from the right one arising the usual metallic spheres, a recurring theme in the Belgian artist’s production. 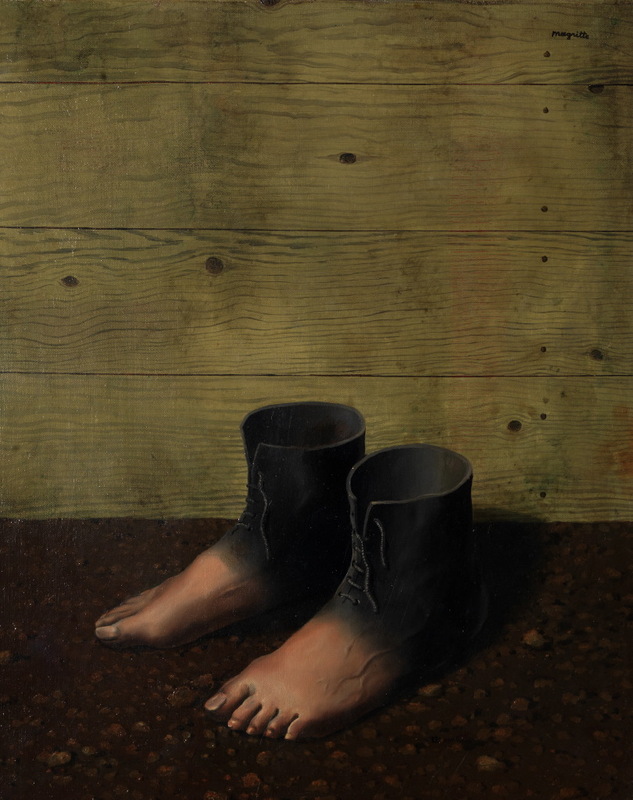 The exhibition also presents Le modèle rouge by Magritte, of 1935, the strange pair of shoes-feet that refer to an invented reality, to the dream and even to the sphere of the monstrous. 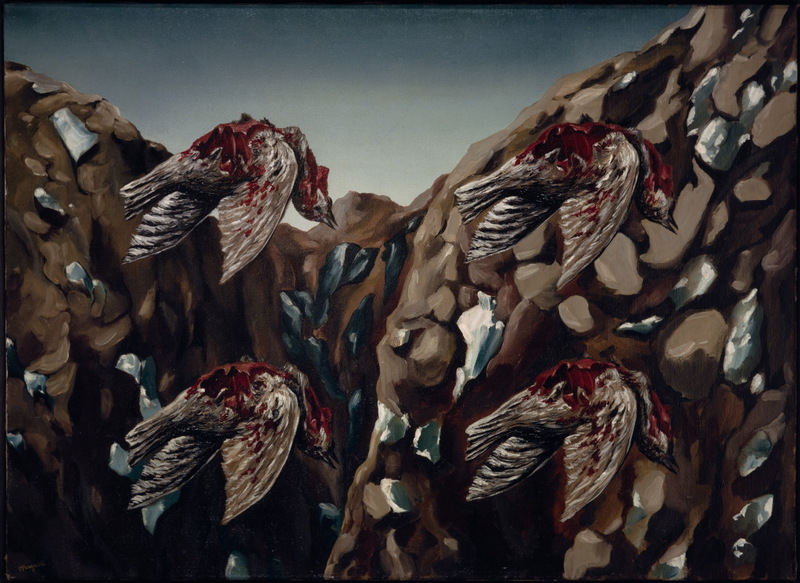 Also fundamental is the center of paintings in the Salvador Dalí exhibition, among which Dormeuse, cheval, lion invisibles of 1930 and L’âne pourri of a little earlier, 1928; originated from the collection of Paul Eluard, it belongs to the series of paintings-collage of Dalí and illustrates the macabre theme of putrefaction on which the artist reflected with his friend and poet Federico García Lorca. 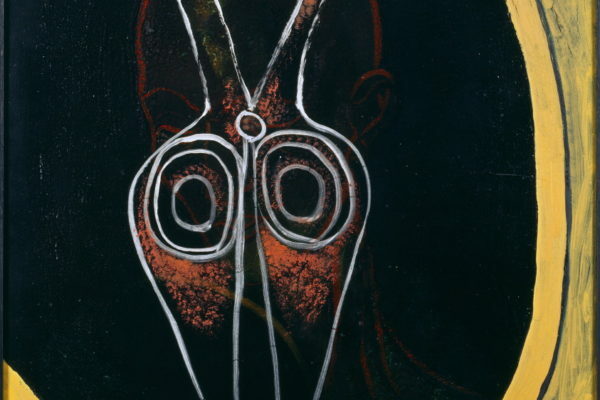 The paintings interact with the collages by Max Ernst, with sculptures by Alberto Giacometti and Man Ray, with wire masks by Alexandre Calder as well as with the other large paintings by Picasso, Mirò, De Chirico, just to name a few. 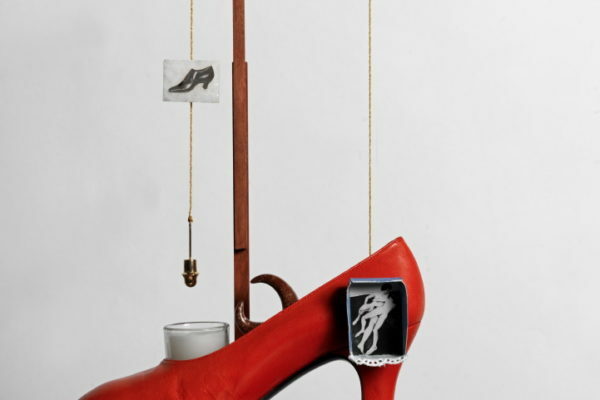 The year 1929 also saw the emergence of surrealist photography, witnessed by the close links between great photographers such as Brassaï, Lotar, Boiffard, Man Ray, Jean Painlevé and Claude Cahun, whose photographic masterpieces will also be present in the halls of Palazzo BLU. 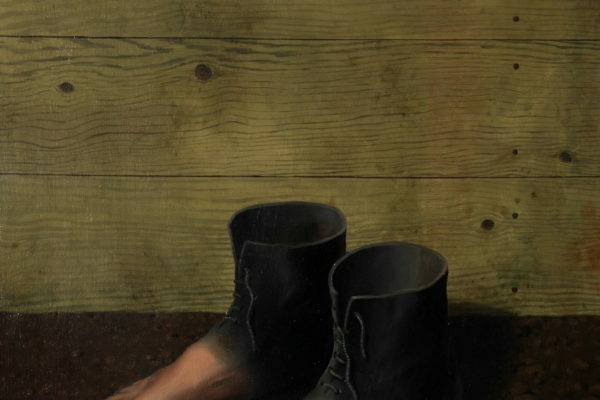 To crown the exhibition path and in “surreal antithesis” with the enigmatic vision of Magritte, Marcel Duchamp tries with his work L.H.O.O.Q (1930) to desecrate the most famous and enigmatic painting in the world, La Monna Lisa by Leonardo da Vinci. 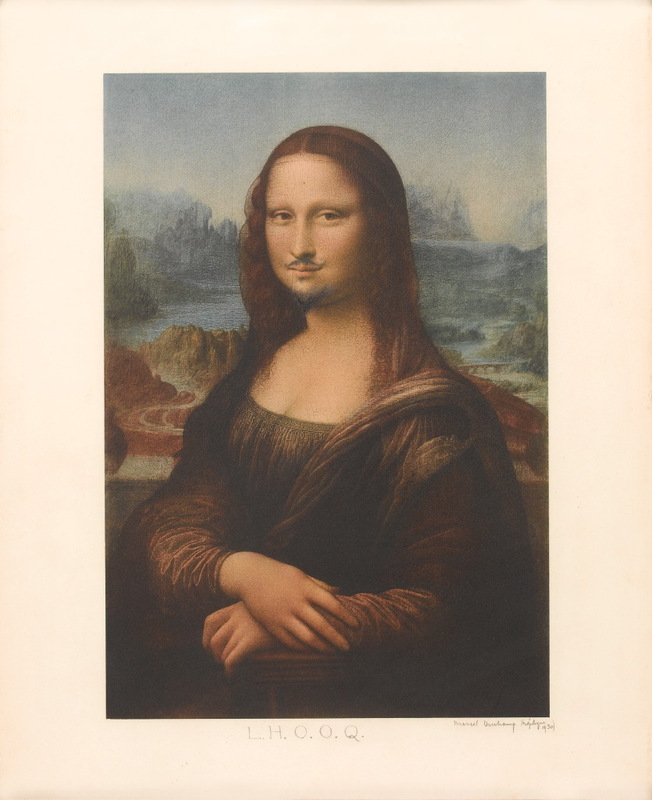 Duchamp provocatively adds mustache and goatee to Gioconda. 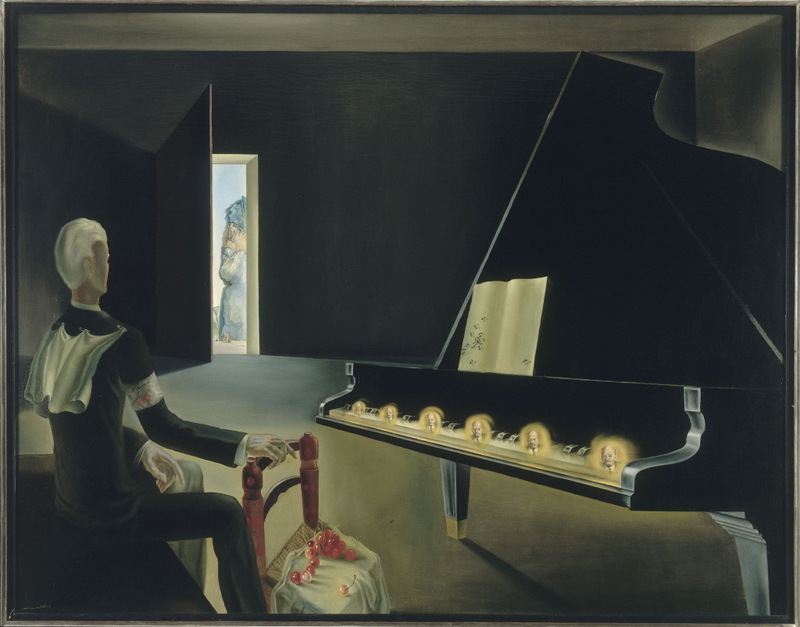 This is an exceptional loan that together with the rest of the masterpieces featured in the exhibition will allow the general public to admire the most important surrealist works, from the most famous surrealist collection in the world and to have fun discovering the enigmatic, provocative and rather “vulgar” meaning that Duchamp, the brilliant inventor of ready-made, wanted to confer with the word play L.H.O.O.Q. 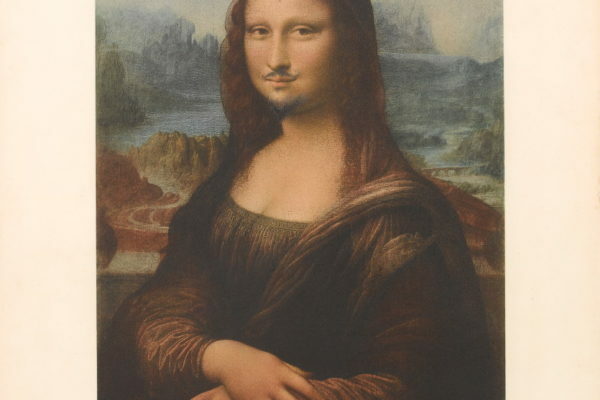 to its famous and iconic “Gioconda with mustache”.